Hasyudeen: How Is Your Board Dealing With Brexit? 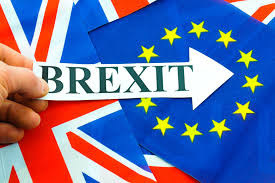 Even as the votes were being counted on June 23, not many people in Britain and the whole world were expecting that the ‘Leave’ side would prevail during the recent referendum to determine whether the UK should remain in the European Union (EU) or otherwise. However, as more votes were counted later that night, the concern about something not imaginable started to become stronger. The pound started to tumble against many currencies. By the morning the day after, the ‘Leave’ campaign had won. Brexit or Britain exiting the EU appears to be a classical black swan event, something not foreseeable to happen which eventually happened. Not only did the event split British voters into two groups, ‘Remain’ and ‘Leave’, but it also brought with it uncertainties which would persist over a long period. The first casualty was David Cameron, the British prime minister who had to quit his job after being defeated during the referendum. His successor, Theresa May, who was from the ‘Remain’ camp, has to take over and deal with something which she herself was not convinced is good for the UK and Europe as a whole. While she had clarified that the UK would only invoke Article 50, the trigger for exit, towards the end of the year, many people are still hoping that Brexit would never materialise. Some people are even bringing this issue to court. The Europeans would also try to make Brexit as tough as possible to deter other countries within the union to venture into the same territory. Strong remarks from Brussels and Berlin in urging for the UK to invoke Article 50 as quickly as possible could also be aimed at other member states as well in sending the message that this is not a game. While uncertainties could be good for speculators and some could have made money in the financial markets after the Brexit decision, uncertainties would also influence sentiments and confidence of investors. There are already talks about investment moving away from the UK to other parts of the world. In the stage where the global economy is not at its optimum as what we would have liked, a black swan event like Brexit is the last thing that we need. While many Malaysian companies may not have direct exposure to the risks arising from Brexit, this issue should not be left unattended. The risks could also be possible from secondary events such as new rules which could be applicable once the UK is no longer part of the EU. Market access to Europe, for example, could be affected if the existing entry point is only from the UK. Effects on customers or particular market segments have to be considered and even the reliability and cost effectiveness of any supply chain from the UK or Europe has to be reviewed again. On the other hand, would there be new opportunities as well? If there are really capital flights from the UK, would there be any chance that Malaysian companies could have some share of that? What needs to be done to capture those opportunities? It is well known that some Malaysian companies were investing heavily in the UK property sector in the past few years. For them, their exposure to the risks of Brexit is different; some of the risks could have already crystallised. If the progress of their property development projects, for example, is already half-way through, the next course of action would be vital. Do they proceed as planned, defer further investment or speed things up, pack their bags and leave the market? All these options and their consequences require deep thinking to figure out some sense of direction and logic that correspond to the realities on the ground. While many companies are aware about what is going on around them, not many are taking those events seriously. In the absence of a systematic process where events are detected and analysed and the understanding of their impacts are discussed in C-suites and boardrooms, many clear and present dangers and opportunities would be missed. This is where board members have to be comfortable that the companies under their care regularly scan the local, regional and global landscapes to detect and analyse emerging trends and update them accordingly. For the case in hand, it would be also good to reflect on whether the processes had detected the possibility of Brexit and whether the views formed were close to the realities that prevailed. This would be a good opportunity to assess the effectiveness of such systems and processes, and whether they were helpful in providing boards with relevant data and information in discharging their duties towards their companies and shareholders. As the saying goes, don’t let a crisis go to waste.